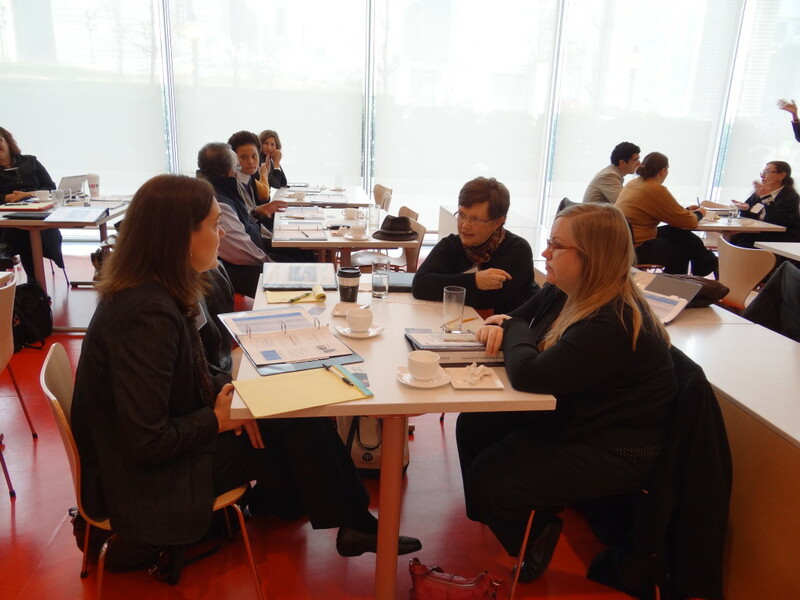 Project manager Tina Nolan (center) leads a discussion at a learning community meeting at the Museum of Contemporary Art. Literacy specialist Dr. Donna Ogle presents material on text complexity to museum educators. Learning community participants co-created educational resources about American art using the Understanding by Design curriculum planning technique. 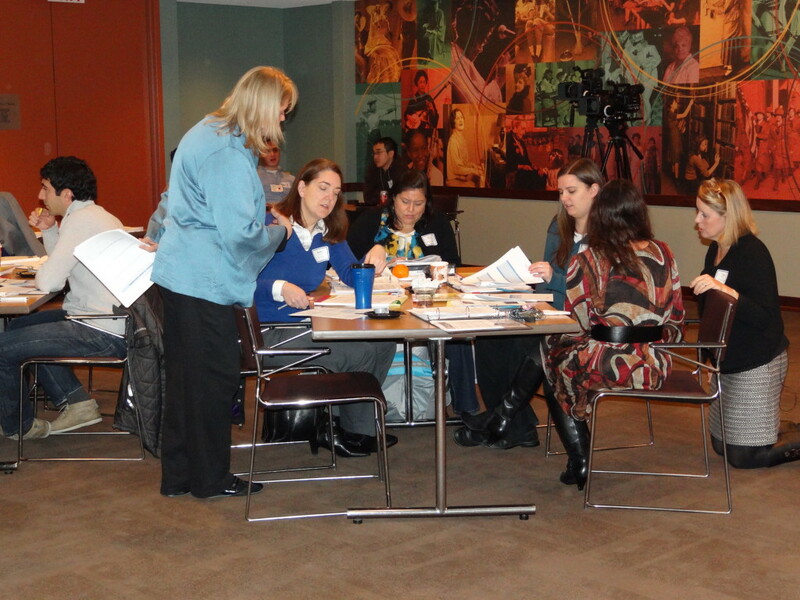 A learning community of museum educators from across Chicago that gathered regularly between 2012 and 2014 for professional development about the Common Core State Standards in English Language Arts (CCSS-ELA). 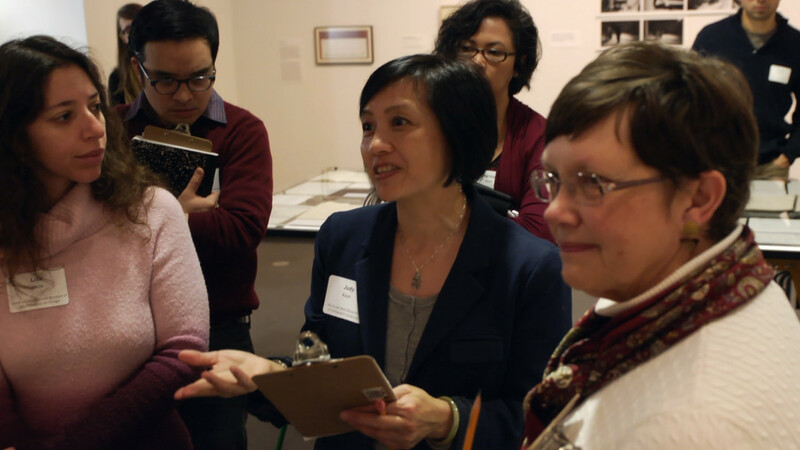 The community learned together and shared their best practices in engaging students with American art in their collections. 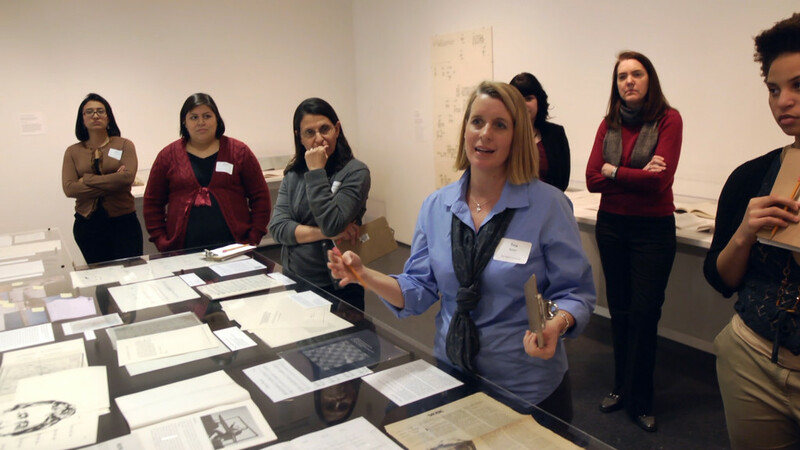 Members collaborated with Chicago-area teachers and literacy specialists to create lessons and teaching tools, and wrote informational texts for students about art in their institutions’ collections. Content available on this website grew out of this community. 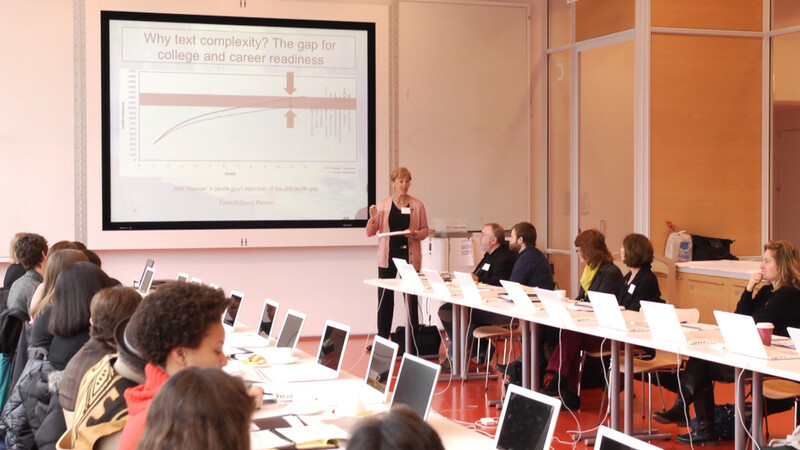 Grants to help participating organizations develop new CCSS-aligned museum programs and materials for teachers and students or to modify existing programs and materials in order to strengthen CCSS connections. Leadership Team: A cadre of museum educators and teachers better equipped to address the CCSS-ELA through American art and to train teachers. Common language and focus: cultural organizations more attuned to Chicago Public Schools needs and priorities, able to speak the language of the schools, and explain the relevance of their programs. More CCSS-ELA and American art-focused teaching resources and programs available to schools across the region.